Sodium-ion batteries might soon provide a less expensive, viable alternative to lithium-ion batteries thanks to research developed at Washington State University. The new technology also would help solve material sustainability issues by alleviating the mining of lithium – a diminishing resource. 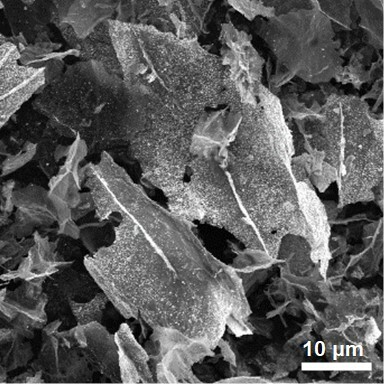 Led by professors Min-Kyu Song and Yuehe Lin in the School of Mechanical and Materials Engineering, the researchers used tiny tin oxide nanocrystals supported on a graphene structure to vastly improve the battery. The technology also could be used in lithium-ion batteries, making it more attractive for manufacturing. They recently published their work in the journal Nano Research. Lithium-ion batteries are popular in everything from small portable electronics to electric cars because they can store a high amount of energy in a small volume. However, the lithium used to make them is relatively expensive and rare. Manufacturers have become increasingly interested in sodium batteries as the growing demand for lithium batteries has increased the cost of lithium precursors. Salt is ubiquitous and cheap. Using tin oxide in a battery’s anode gives it the potential to store almost three times the energy of graphite that is typically used in batteries, and it’s easy to make. However, tin oxide wears out quickly and stops working. 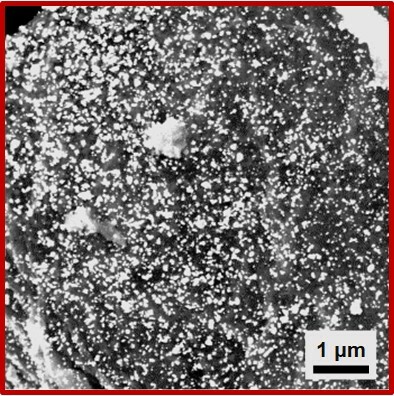 In their study, the researchers were able to solve the degradation problem by making ultrafine nanocrystals of tin dioxide that were tightly bound to three-dimensional graphene structure. Their hybrid structure was robust, well connected and porous, allowing for better transport of electrons and ions. “It is all about how effectively the ions and electrons move,” said Song. Tin oxide graphene hybrid materials as seen through scanning electron microscope. Their research shows that the material greatly improved the charging capacity and rate of both types of batteries, and the hybrid material “exhibited outstanding electrochemical performance,” said Song. The researchers also tested the materials in a full battery. The researchers also worked with Xiaolin Li, a staff scientist at the Department of Energy’s Pacific Northwest National Laboratory, who provided expertise on cathode materials. The research was funded by Washington State University.